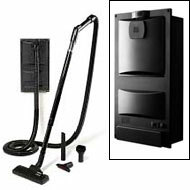 11 Amp 115 volt motor, comes standard with a 35' quick-clean-up-space-saving strech hose (shrinks to 8') floor tools, 1 HEPA and 2 high-flitration dust bags. 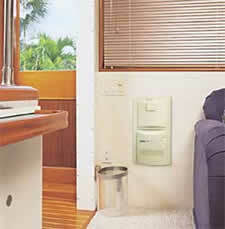 Compact and completely self contained polycarbonate housing. A) Surface mounting in just 5 minutes. 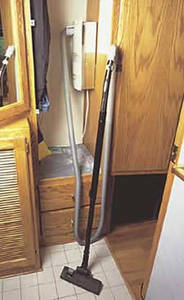 B) Flush Mounted in less than 1 hour. C) Mounts, vertical, or horizontal or on its side. 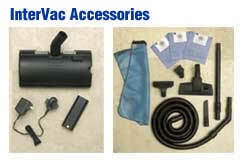 Accessory Kit Includes:35' Stretch, attachments and storage bag.